Vivo V7 Plus embraces the selfie obsessed nation! Post-Launch: Secret’s out now! Vivo takes its selfie game to the next level with its new entrant Vivo V7 Plus. But this new handset has a twist you didn’t expect. Let’s find out if it’s worth it at Rs 21,990. Now get your selfie obsession fulfilled! Compare this new vivo phone with other selfie phones in India. Should you abandon Vivo V5 Plus to buy Vivo V7 Plus? > You don’t want an under powered processor. Vivo V7 Plus equips Qualcomm Snapdragon 450, which is a downgrade from a Snapdragon 653 processor. Despite the fact that they both come with eight cores, 450 clocks only at 1.8 GHz compared to 2.0 GHz on 653. If performance is all that matters to you, then, you should completely ignore this upgrade. > You’re someone who enjoys videos on their smartphone. Vivo V7 Plus is equipped with a Bezel-less screen. With a screen to body ratio of 84%, the screen on this handset stretches to 5.99-inches. That is a massive display! And you don’t have to worry about using it one-handedly. Thanks to almost no bezels, the device isn’t that wide at all. It can easily fit in your palm as claimed by the brand. > You’re into selfies, like a lot! Vivo V7 Plus takes your selfie obsession to the next level with its 24 MegaPixel front facing a camera. Like its predecessor, it is also equipped with a moonlight flash for low light photography. Where can you purchase a Vivo V7 Plus? This new Vivo handset would be available online on Amazon and Flipkart. You can pre-order this handset starting today up until September 14, 2017. What do you think of a Vivo V7 Plus specification? Would you upgrade to this handset or not? Let us know in the comments section below. Pre-Launch: Vivo is all set to release a new smartphone on September 7 called Vivo V7 Plus and all the selfie obsessed lovers are excited about it. While consumers had a perception that Vivo releases their smartphones with a focus on selfie camera. It is indeed true as you can see the V5, V5 Plus, V5s, and most of the last year released models sports a high-resolution selfie centric camera and other capabilities. 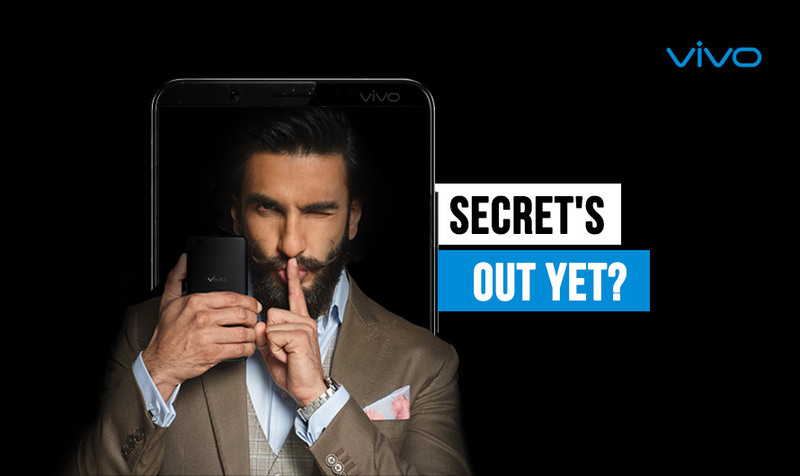 But this time Vivo is teasing not about a selfie camera, but a FullView Bezel-less display on its next, the Vivo V7 Plus. Before you start giving an opinion on Vivo following this Bezel-less trend, you should read below. Why is Vivo introducing a Bezel-Less design? Cuz why not! People follow a trend, whether they like it or not, Humans likes to feel involved in a society. And that’s why it is a great idea for Vivo to introduce a Bezel-less display on its next iteration, a Vivo V7 Plus. Furthermore, if Vivo wants to stay ahead in the ever growing Indian smartphone market, they have to be an early adopter of latest features. A display that breaks the barrier is a new trend, nobody likes bezels, and now that technology is available, Vivo should definitely introduce a Bezel-less phone. Of course, with their own twist! Who started it first and why is it a trend now? Not an old trend, Xiaomi started it first by introduced a Mi Mix, which was the first Bezel-less smartphone in the world. It was called as a concept phone and had a limited availability. But Mi Mix opened the gateway to new possibilities as it was the first phone released with an edge-to-edge display. A step into the future. Up until now, Samsung Galaxy S8, Samsung Galaxy Note 8 and LG V30 are top premium phones sporting a Bezel-less display. While LG Q6 and Micromax Canvas Infinity in India are affordable Bezel-less phones introduced so far. Xiaomi is making a comeback in this space with Mi Mix 2 and this time possibly to other markets like India than its home country. Admit it, we all love science fiction movies, well most of the humans. And for the love of those gadgets in those movies, a bezel-less display equipped smartphone gives a feel of holding merely a display. And that is why it is a trend among the consumers and the industry. Who should buy a Vivo V7 Plus? If you aren’t aware of the Vivo V7 Plus specification, then here are the highlights of it. 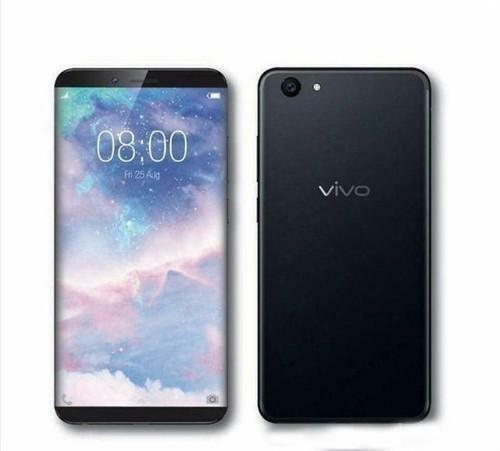 Vivo V7 Plus features that are expected to be announced include a full HD resolution FullView display of 5.7-inches, Snapdragon 660 processor, Android 7.1 based Color OS, 24 MegaPixel selfie camera, and a 3500 mAh capacity battery. Since Vivo V7 Plus would be a flagship phone from Vivo in India, we believe this is a handset for a premium consumer who can afford up to Rs 30000. Cuz around that price range it would be released in India. As you noticed, other than a bezel-less design, Vivo V7 Plus would be sporting world’s highest resolution selfie camera. Of course, how could Vivo resist on equipping a selfie camera on their flagship product! What do you think of the Vivo V7 Plus smartphone in India? Would you buy it if Vivo V7 Plus price in India is in sub 30000 price range? Let us know in the comments section below. Previous article Lenovo K8 - An entertainment unit you can’t resist to purchase! Next article Why is there a need of a Nokia 7 when we have a Nokia 6? Qwerty Mobile Phones – Power up your typing speed! Best Tablet brands in India you buy from!